How quick time flies. Fifty years ago today, November 22, 1963, President John F. Kennedy was assassinated in Dallas as he drove in a motorcade through the downtown area, sniper Lee Harvey Oswald doing the shooting. It was and still is a tragic moment in American history, one explored in pop culture with books like Stephen King’s 11/22/63 and films like “JFK” and “Executive Action”. 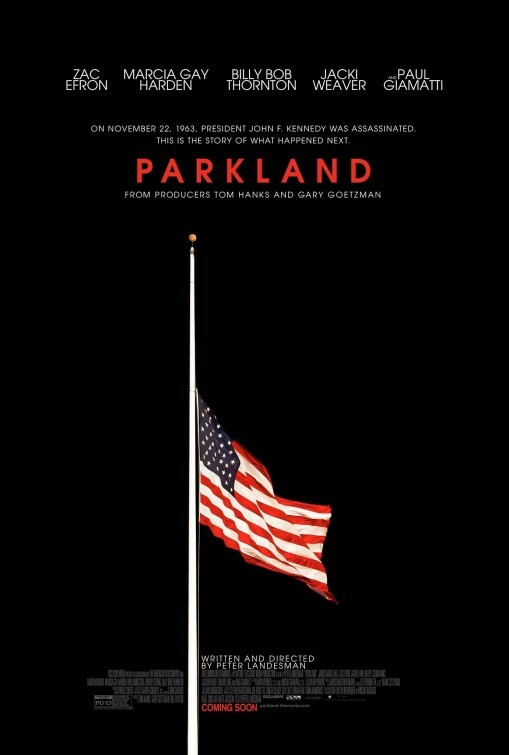 Add another flick to the list called “Parkland”. To describe the plot here would more than defeat the purpose. With a little build-up to the actual assassination on that November morning, we’re shown the actual shooting Dealey Plaza, mostly from the people who see it. We never see President Kennedy get shot, never see Lee Harvey Oswald shoot him. This isn’t a movie about Kennedy, instead it is how the President’s death sends ripples throughout Dallas, including the hospital, law enforcement, Kennedy’s staff, the witnesses, the FBI, how they all responded to it and handled the assassination. The story follows the immediate aftermath and the subsequent days, mostly from the perspective of Parkland Hospital, where Kennedy died less than an hour after being shot. Plot? Not really, it’s more a lot of characters in an episodic story that packs a whole lot of stuff into its 94-minute running time. 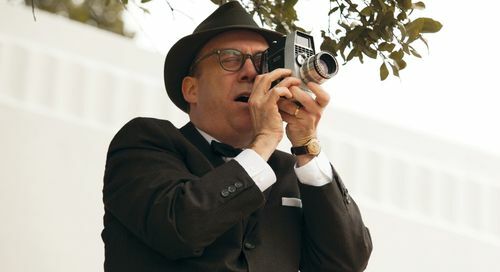 From director/writer Peter Landesman, “Parkland” had a $10 million budget and was given little to no theatrical release, making about $600,000 in theaters. Why did it struggle so mightily? I’m not really sure. I liked it a lot. With a short running time, it is slightly schizophrenic in terms of storytelling. It is basically on the go non-stop. We meet countless individuals — from known individuals like Oswald, Jackie Kennedy and LBJ — to lesser known but very real people, the hospital staff, the FBI, the witnesses, all affected by the assassination that rocked the nation. I liked that Landesman’s film gives an almost fly on the wall look at the history that we’ve all heard about, all knew it happened, but to actually see it, it’s interesting, startling and unsettling, like we’re a witness to history. Maybe that’s why it struggled getting much of a theatrical release, why it couldn’t get much of a positive word of mouth. Beyond being a turning point, a defining moment in American history, the Kennedy assassination is one of the first spawns of a real conspiracy theory. Was Lee Harvey Oswald alone in his attempt? Were there other shooters? Was the government involved? Was there a massive cover-up in the wake of the assassination? So for all you conspiracy theorists out there….this may not be the movie for you. “Parkland” isn’t interested in a single tidbit of that ‘what if?’ aspect. In general, it doesn’t take a stance about much. It shows rather than tells what happened. We see it as it happened, nothing else. If you’re looking for a comprehensive, analytical investigation of the Kennedy assassination, this isn’t it. Instead, it’s a well-told, interesting, informative look at a part of history that we’ve never seen before as a viewer. To tell the countless stories, Landesman assembles quite the cast to fill out the countless speaking parts here, all those involved and effected by Kennedy’s death. 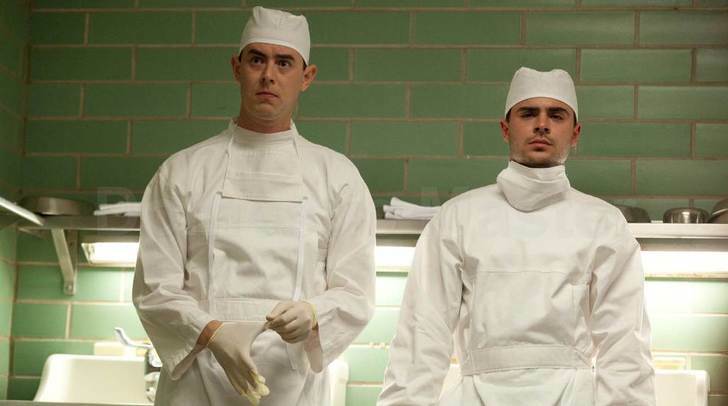 The Parkland Hospital medical staff includes Marcia Gay Harden, Zac Efron, Colin Hanks, Rory Cochrane and Jackie Earle Haley appearing briefly as the hospital priest. 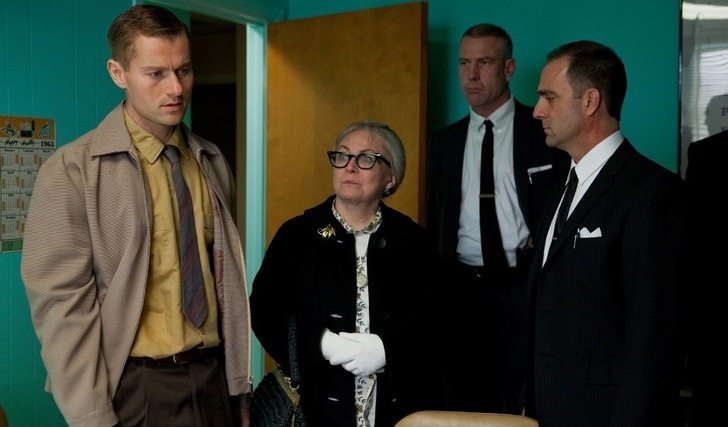 James Badge Dale plays Oswald’s brother, Robert, surprised as anyone at his brother’s actions, Jacki Weaver playing their delusional mother, Marguerite, while Jeremy Strong gives a strong portrayal as Lee. Billy Bob Thornton and Tom Welling play Secret Service agents pursuing all leads, especially the film of the assassination shot by Abe Zapruder (Paul Giamatti). Ron Livingston and David Harbour have good parts as the FBI field agents working in Dallas who make a startling revelation about Oswald. Not necessarily huge stars, but one really solid actor after another. I liked this movie, simple as that. The style is simple and straightforward, blending archival footage from the Kennedy’s trip through Texas that eventually ended in Dallas with footage shot for this film. It is eerie and uncomfortable watching the archived footage, knowing in the matter of an hour or two President Kennedy would be dead. The sense of doom hanging over that footage is unreal and beyond uncomfortable to watch. The whole movie is, and it’d be hard not to be difficult to watch. Exactly 50 years later, it’s still hard to believe this tragic event actually happened. 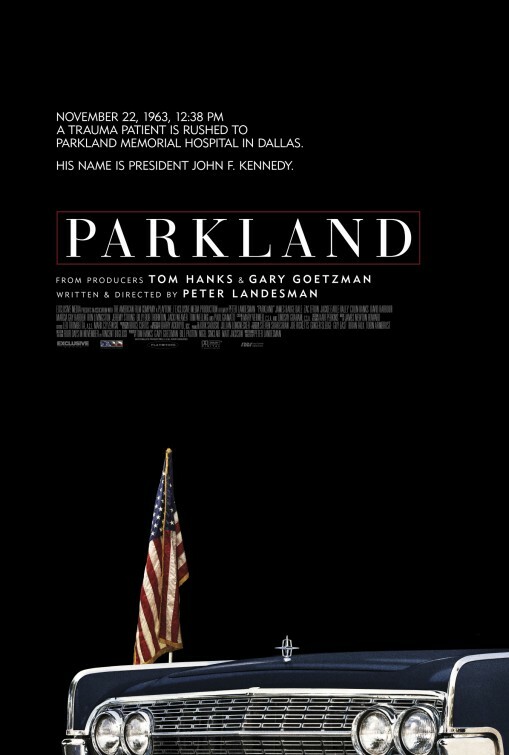 This film had little to no buzz upon its release, but “Parkland” is definitely worth catching up with.